High-definition closed-circuit television (CCTV) risks sparking a public backlash, according to the UK government's surveillance commissioner. Andrew Rennison told the Independent newspaper that "the technology has overtaken our ability to regulate it". Manufacturer's figures suggest there will be 129,299 HD CCTV cameras in the UK by the end of 2012. The HDCCTV Alliance has predicted that number would rise to over 3.7 million by 2016. A shift from the use of analogue to digital equipment is also helping drive the quality of the images the cameras capture. Defenders of the technology note that it helps discourage crime and has helped law enforcement officers identify offenders. An earlier report by the Integrated CCTV news site said that evidence gathered by surveillance cameras had helped secure some of the convictions that followed 2011's London riots. The UK government has asked Mr Rennison to draw up a code of conduct for CCTV use in England and Wales. He is due to present a report to Parliament in April. His interview suggests he will take a tough line. "It is the Big Brother scenario playing out large," he told the Independent. "It's the ability to pick out your face in a crowd from a camera which is probably half a mile away." He also flagged that research was being carried out to pair the technology with facial recognition software to run captured images against databases of known offenders. Manufacturers are using a range of techniques to improve image quality. For example Bosch's top-end Dinion camera records images using the HDR (high dynamic range) dual-exposure process to capture more detail in an image's shadows. It allows owners to save up to 30 frames per second in 1080p quality video and uses an infrared filter to improve its performance at night. By contrast Avigilon's top-of-the-range camera only takes two images per second at full resolution but produces 29MP photos. It can be fitted with Canon's SLR (single-lens reflex) camera lenses to extend its range. Mr Rennison said that he intended to consult lawyers to discuss whether the UK's use of HD CCTV cameras meant there had been a breach of European human rights legislation. But the Local Government Association, which represents councils in England and Wales, highlighted the technology's benefits. "Whether it's tracking down a thug who brutally mugged an old lady, a vandal who trashed a war memorial or searching for a missing child, CCTV plays a crucial role in tackling crime and making people safer," said Mehboob Khan, chairman of the association's Safer and Stronger Communities Board. "Town halls don't install cameras on a whim. They consult with residents, businesses and police on whether CCTV is appropriate in an area. "In many instances councils are responding to requests from these groups. As well as serious crimes like burglary, it has also proven effective in reducing antisocial behaviour on our streets, a key factor in whether people feel safe and comfortable in their communities." Campaign group Big Brother Watch reported in February that the UK local councils had spent £515m over the previous four years on CCTV operations and controlled at least 51,600 standard and high definition cameras. It welcomed Mr Rennison's intervention but warned that his report might still prove ineffective. "The Home Office has undermined the commissioner from the start by giving him absolutely no powers to act when he views that wrongdoing may have occurred," it said in a statement. "Proper regulation of CCTV needs someone to have the power to inspect cameras and punish those breaking the law. If the Home Office is serious about this issue then the surveillance camera commissioner needs proper powers to protect our privacy." A statement from the Home Office said Mr Rennison would develop a new code of practice to "empower the public to shine a light on those who operate camera systems in public places, challenging them to show the use of these systems is justified, proportionate and effective". The UK is far from being the only country to utilise the technlogy. 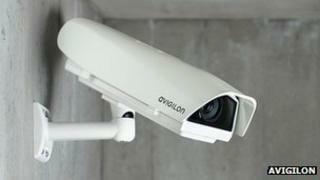 A study by RNCOS suggests the global CCTV market will be worth about $23.5bn (£14bn) a year by the end of 2014. It said that Asia and the Middle East would soon account for about one quarter of that market, thanks in large part to growing demand for the products in India and China. It added that the adoption of internet-connected cameras meant that more footage was being stored off-site for longer periods of time, and that gigapixel camera technology would mean even higher quality images in the future.